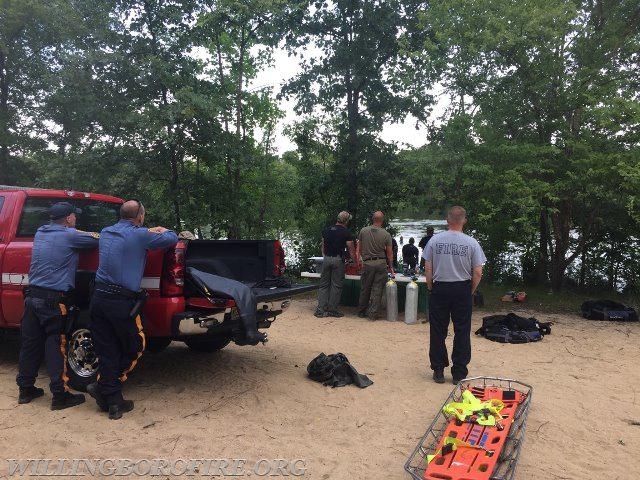 Rescuers from several departments were sent to the Willingboro Lakes Park (formerly Olympia Lakes) on Route 130 for the report of a man who went underwater and never resurfaced. 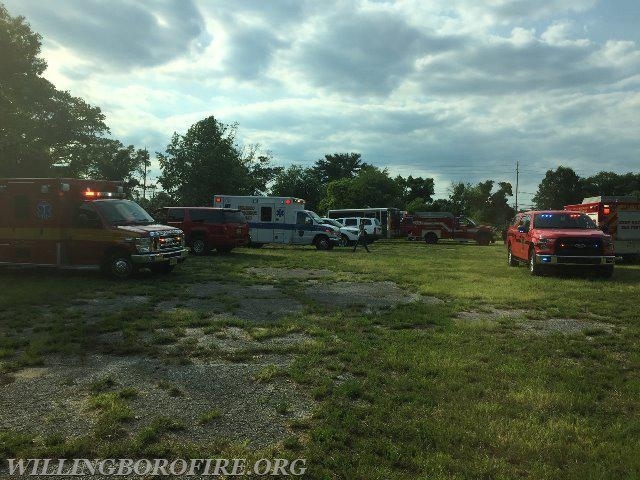 Willingboro Fire and EMS crews, along with crews from Delran Fire Department, and Virtua Hospital Paramedics were sent to the park at 4:25 pm on June 17th. A caller had reported that a man went into the lake and went underwater. Police officers from Willingboro and several other agencies arrived first and confirmed the report. 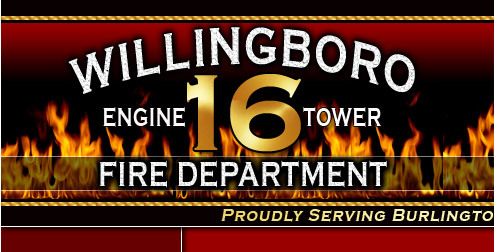 Engine 1613, Ambulance 1694, Utility 1616 and 1627, along with the department's boat arrived on scene at 4:35 pm. Captain Gardner and Firefighter Centrone immediately donned water rescue suits and flotation devices. Lieutenant Ferrell met with police personnel and witnesses to get an idea of where to start the search. Firefighters Bennett and Robertson placed the boat in the water and assisted the rescue team. Chief of Department Burnett was on scene and had command of the incident. Upon the boat's arrival at the rescue area, the crew found two Virtua Hospital Paramedics in the water attempting a search. 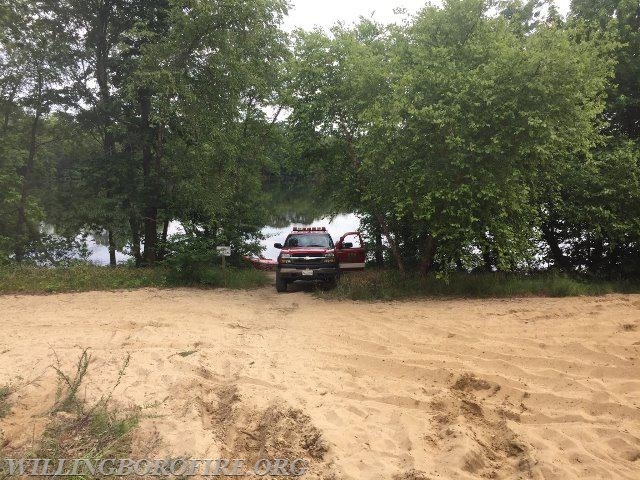 Captain Gardner and Firefighter Centrone also entered the water to assist with the search. Lieutenant Ferrell worked with witnesses to try and direct the rescue crews to the area where the man went underwater. A NJ State Police helicopter and dive team were immediately requested by Chief Burnett, along with boats from Delran, Burlington City, Delanco, and Riverside. After a lengthy attempt to search for the man, all rescue personnel were removed from the water. Later in the evening members of the NJ State Police TEAMS unit arrived on scene. The crew donned diving equipment and searched the area for several hours. The team was unable to locate the man that evening. All units were clear from the scene at 8:04 pm. The dive team returned on June 18th and spent several more hours searching. They were unable to locate the man that day as well. On June 19th a visitor called 911 to report the body in the water. 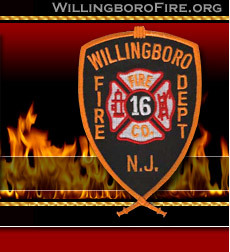 Willingboro Firefighters and the boat were called to the park, and removed the man from the lake. The body was turned over to the Burlington County Medical Examiner's office.